In order to compete in the search engines you must understand how to focus your key wording strategies. And key wording although is of first and foremost, it is also a host of other SEO tools that keeps you in the top ten. In other words, it a combination of SEO tasking that makes for successful outcomes. Our Web Design & SEO experts use the latest tools and software to get you the results you need to compete online. We will analyze your web site and put together a SEO strategy that is customized for your online web marketing. VISIONEFX also offers monthly maintenance services as well so you can maintain your search engines positions. Our experienced web design professionals creates your custom website to your specifications for your online marketing to be as individual as your Brand. You want it professional and to be a stand out online. Our web designers create powerful online branding and website designs for businesses. You’ll want your website to be a unique online digital experience for you and your users and optimized for success. We can do all of that and more. VISIONEFX will take your Web Design & SEO VA to a whole new level of excellence. VISIONEFX is a full service web company that provides services in Custom Website Design, Custom Data Base Design. We also offer Online Reputation Management as well as web development Maintenance Services. Our web development team are experienced in custom designing data base platforms.and creating custom shopping carts. VISIONEFX has been creating custom web services since 2005 and have a long term client base of satisfied clients. VISIONEFX has a 5 star google review for our stellar customer service. 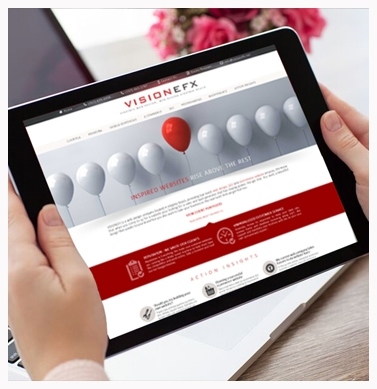 When your searching for Web Design & SEO VA look no further than VISIONEFX for all of your website needs. For more information about Web Design & SEO VA call 757-963-1787.